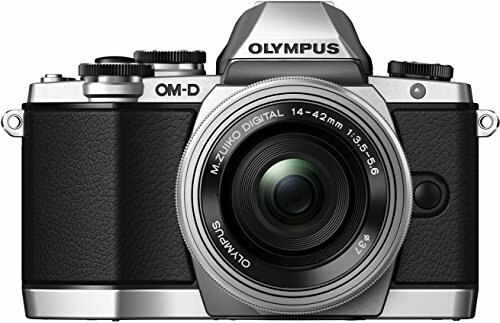 IS THE OLYMPUS OM-D E-M10 EVERYTHING M4/3 SHOULD BE? Using the Olympus OM-D E-M10 reminds me of the early days of m4/3 and what I hoped it would be. There is now a variety of m4/3 cameras, some of which I like, some of which I don't, but this camera, somewhat to my surprise, is definitely in the former category. And it does fulfil many of the requirements of what I want from a m4/3 camera. There is no such thing as a typical m4/3 camera anymore. They range in size from the diminutive GM1 to the battery gripped DSLR imitators like the GH4 and E-M1. The image files they all produce are actually very similar, but the housing for what produces those files is far from that. The OM-D E-M10 is on the small side, but has none of that 'boxy' compact camera feel. The grip is particularly good and makes the camera feel very solid. Incidentally it's partly detachable. See below. Now this is very ingenious, but why Olympus didn't just cutaway the bottom of the grip to allow access to the battery / card compartment, who knows. The camera is also not 'throwaway' light and with the excellent EVF allowing the camera to be raised to the eye, it does make for stable shooting. And that whole 'feel' is what I like about it. When m4/3 first appeared, what I wanted to see was a smaller lighter alternative to DSLR's, but also something 'upmarket'. Cut price Leica if you like. A system that was well-designed, had a degree of aesthetic appeal, was nice to handle and of course produced files with good image quality. Now cameras like the Olympus Pens and the Panasonic GF1 encouraged me with regard to that, despite those add-on EVF's. However cameras like the mini- DSLR 'bridge' camera styled Panasonic G's and compact cameras on steroids like the GF2 made me think things were not heading in the direction I wanted. And during this time it was always Olympus that had the style advantage. They brought out a series of good looking cameras that were seductive at first but eventually turned into a predictable series of marginally upgraded wallet emptiers. And then we got the OM-D E-M5. A somewhat different take on retro chic, with a 35mm film SLR look. I had a couple of those, but could never get to grips with..... well the grips. I couldn't find any combination that I found comfortable. However, the OM-10 is somewhat different. Now I don't really know why it should be, but I find the slightly smaller E-M10 + grip much more comfortable than the E-M5. in fact it's one of the nicest handling cameras I've used in a while. And it does have that 'upmarket' well designed, 'lookaleica' feel that I like. Plus it does seem to blend the rangefinder and film SLR looks together quite nicely. I always found the faux pentaprism on the E-M5 a little odd visually and I like the design of the E-M10 a lot more. What's also interesting is that even with the kit 'pancake' zoom fitted, the camera still feels substantial and it definitely has a degree of 'gravitas'. Now all of this is of cause very personal. Someone else may pick up the camera and exclaim 'What a piece of c**p.' But the nice thing about the current m4/3 range is that there is something for everybody. And certainly the E-M10 punches my button very nicely. Small but perfectly formed and very classy. Today I'm going out with that + the Olympus m.Zuiko 75mm f/1.8 and my Leica T, so I'm in for afternoon of stylish snappery. And while looks aren't everything, there's no denying that they can enhance the experience.